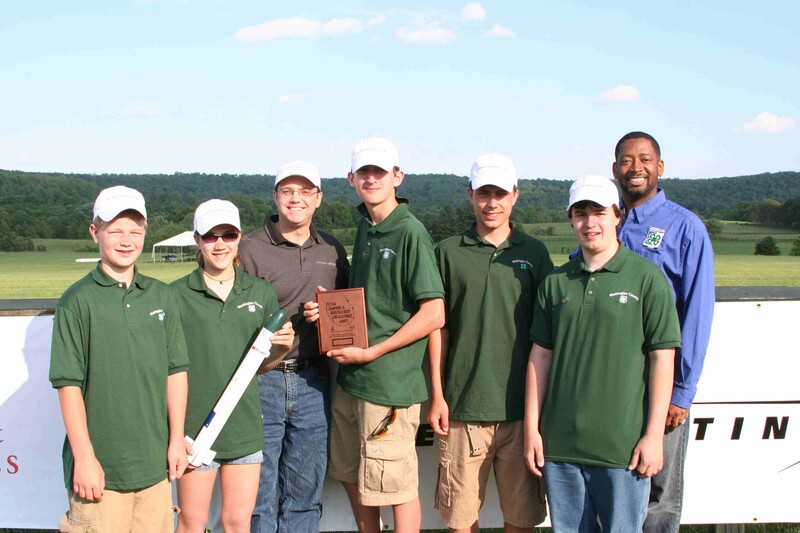 Our second year in TARC also resulted in the team qualifying for the finals in Great Meadow, Virginia. 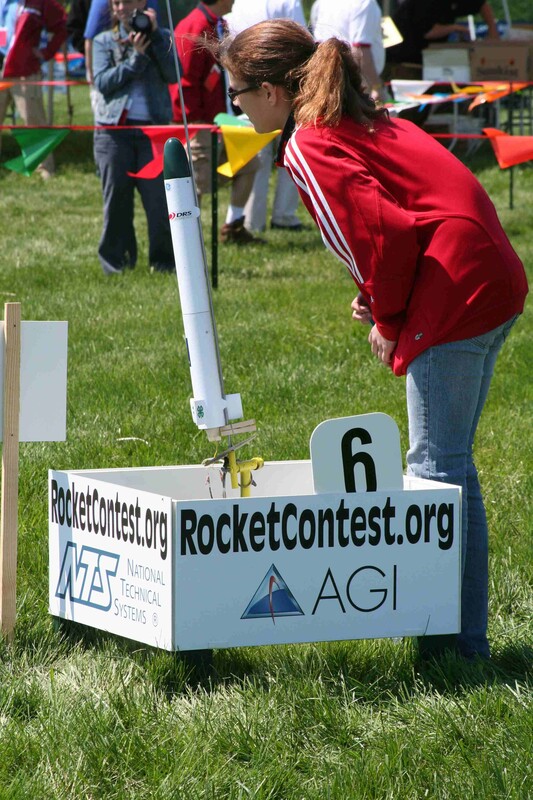 We learned a lot during TARC 2006 that influenced the design of the new rocket. For starters, we used reloadable motors to save on costs, which allowed many more test flights (~30 in all). The rocket was considerably smaller and lighter and had a lower coefficient of drag. We finished 15th and were presented the Lockhead Martin award for Most Innovative Approach to the Mission. Here Katlin listens for the 'Beep' of the armed altimeter immediately prior to launch. Secretary of Defense Robert Gates signing the team rocket. The team with Jim from Lockhead Martin, and Byron Garrett from the National 4-H Council. 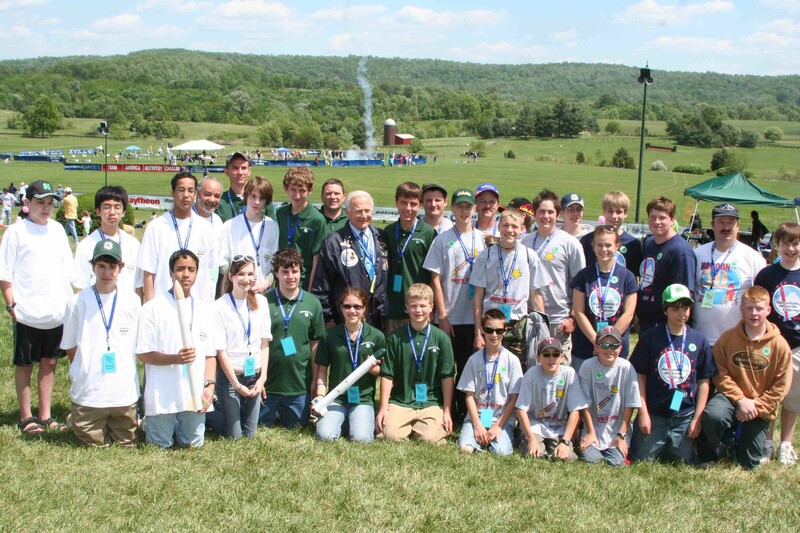 The four 4-H teams that competed at finals, with Buzz Aldrin. Ben, Brady, Ben, Katlin, and Cam.